headlines on this week's AtlantiCast. everyone will be asking this month. how to avoid the flu this year. unveiled at Atlantic Health System plus much more. Hello, I'm Luke Margolis and welcome to AtlantiCast. top headlines throughout Atlantic Health System. on everyone's lips this month. Have you had a mammogram this year? as part of this year's Ask Her campaign. The six-week initiative makes its return this month. in hundreds of women making their health a top priority. a year since their last mammogram. and you can make a huge difference now. you're just one click away, go to AtlantiCast.org. yourself from this year's flu season. Here are some important tips for the upcoming season. flu shot is recommended this year. so get it as soon as it's available. and some kids may need multiple doses. by following your child's doctor's advice. Goryeb Children's Hospital for sharing these crucial tips. AtlantiCast.org has even more details. And that care is now found at two brand new facilities. right across the street at 55 Madison Avenue in Morristown. everyone from babies to young adults. and an inpatient care unit. facility to meet all of their needs. Goryeb Children's Hospital will be available too. the latest in healthcare technology to all of our patients. the first in the world to use it. ultrafine images with greater accuracy and speed. gives patients more room and comfort. fewer re-scans and better care for our patients. is part of a partnership with Rutgers University. from their peers and mentors in leadership. and specific ways to achieve them. Congrats to all of them. special moment that matters here at Atlantic Health System. Hannah Truncalli, and Patricia Dunn. Foundation at Chilton Medical Center. to serve meals to folks in need. The four served lunch to more than 180 people, amazing work. healthier communities in so many different ways. but first, never give up on your dreams, right? heard before but easy to forget. who made a national TV appearance recently on ABC's 20/20. 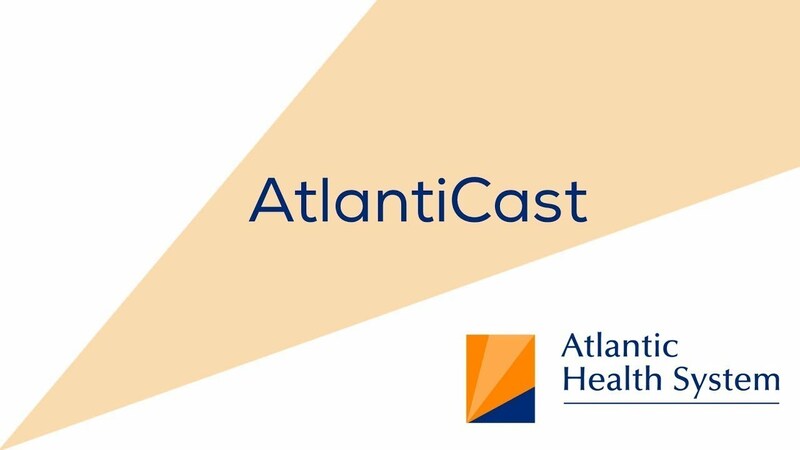 AtlantiCast.org to find a link to the segment.